:This work gives a philosophical and theological account of the belief that Scripture enables people to encounter the life-giving reality of God. The authors examine the biblical foundations for this belief as given in a variety of witnesses from both testaments and explain the philosophical and theological underpinnings of Christian exegesis. The book sums up and makes accessible the teaching of revered senior scholar and teacher Francis Martin and is aimed squarely at students, assuming no advanced training in philosophy or theology. It includes a foreword by Robert Sokolowski. 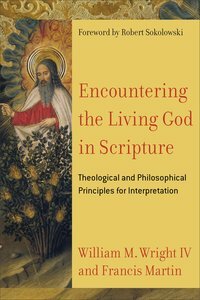 About "Encountering the Living God in Scripture: Theological and Philosophical Principles For Interpretation"